If you use Android home button more often than the back button to exit any application for your Android device, you should try out the Greenify application. If you are more cautious about the mobile RAM and battery juice, Greenify will help you in that situation also. What Greenify do is, it force close the application when you are not actively using them. 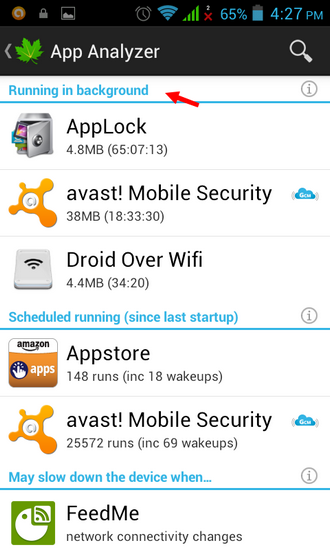 Android natively manages the memory very efficiently. When you close the application by any way –either by back button or home button- , some applications keep using the memory and battery resources even though you are not using them at all. When the Android feels that, the memory should be released for the new application to open, it automatically kills the background running application and you can safely rely on Android for managing the running and auto killing of any application. But now think about the different scenario. I do not use the social applications like Facebook, Google Plus, Pinterest, WhatsApp, Twitter and Tumblr unless I am at home and connected to the home WiFi. When I leave home, I wish these applications to completely hibernate automatically because most probably I am not going to use them for at least next 8 hrs. But in this case, Android keep them running in the background forever. And most of the social applications use huge memory and battery resources making your mobile / tablet slow. Not only the famous applications but there are many naught applications behave like a malicious applications and start automatically without your notice and do not hibernate even though you have not used them for a long time. Some task manager applications can kill the applications if the memory use is about certain predefined percentages. But that is not at all selective killing and you have no any choice. You need ROOT access to use Greenify. Install Greenify from Google Play store. 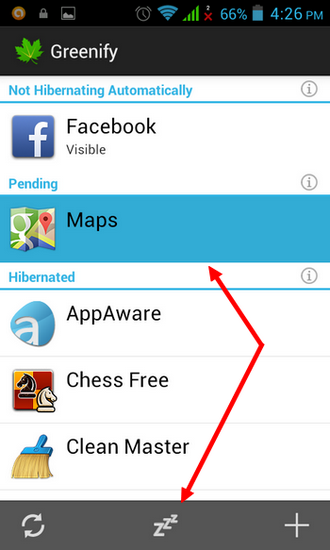 When you run Greenify for the first time, It offers you to add the applications to auto hibernation list. Touch ‘+’ button. Greenify will show you the applications currently running in the background at the top of the list. Below that is applications that can be automatically started when you unlock the lock screen and the applications those are started automatically when the data connection ‘status’ is changed. 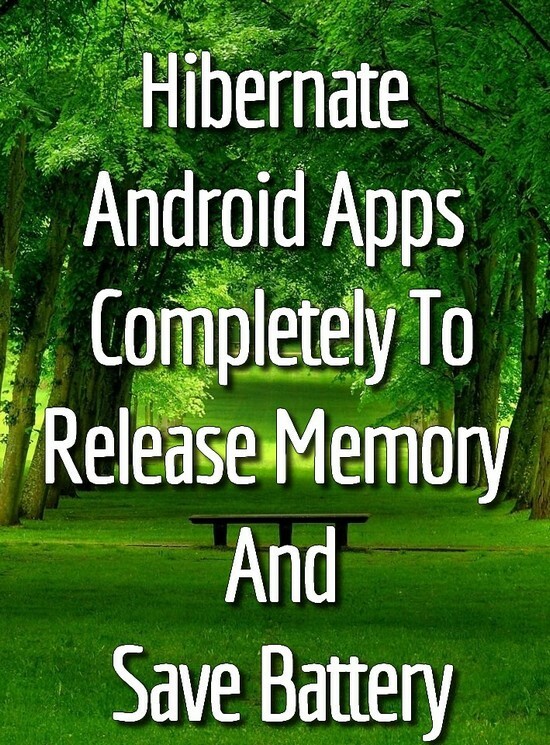 You can add as many applications you want to auto hibernate. Once you are done, activate the ‘Auto hibernation’ mode. Make sure that your ‘Task manager’ application does not kill the ‘Greenify’ application itself. I must tell you that, you should NEVER use the task manager application on Android and here is why. One you have completed the setup, you are ready to get improved memory management and battery life. Please note that, as you have hibernated the applications like WhatsApp and Facebook, you will not get any new notifications for new message. You manually have to open the applications that it can connect to data connection and update itself. Also do NOT add any frequently used applications like Dialer, Gallery, file manager, Antivirus, the stock browser, Google play store applications to hibernation list because you need them so frequently that if you kill them, Android have to open the whole cycle from scratch using more battery and processing power. If you are already using Greenify, what is your experience? If you are not using any such application, you should give a try.